S.F. 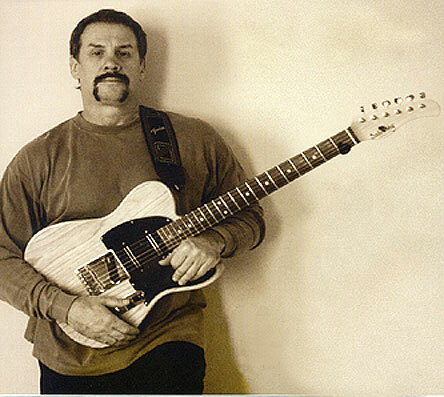 Bay Area guitarist Jimmy Mac made guitar fans quite happy with his 2007 CD Life Is Good and he makes good on the promise of that killer CD with the 2010 release of Give It Back. Funky, jazzy and rockin in all the right places, Jimmy Macs instrumental fusion sound combines impeccable guitar chops with great music and the results will smoke you out! 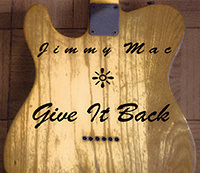 Mac cites Jeff Beck classics like Blow By Blow and Wired among his biggest influences, and to help him drive home his sound and vision, theres a top notch group of musicians assisting Jimmy Mac on the Give It Back CD. Amid the many fine players on tap here are esteemed Steve Morse side men Dave La Rue (bass) and Van Romaine (drums), as well as Andrew Higgins, who adds in his bass work as well as earning co-arranger and production credits. Jimmys latest music may be a little funkier than Jeff Beck these days but for a favorable comparison with the U.K. rock master, take a listen to Jimmys track Beslan, a live track situated like jewel amid the freshly minted studio tracks on Give It Back. MWE3: How would you compare some of the sonic and production / recording differences between the new album Give It Back with your last album the Life Is Good CD? JIMMY MAC : Totally different and musically superior for these reasons: The core recordings were done in "real time", that is the rhythm section was engaged in the improvisation process on certain tracks such as Beslan, Freddie, Trojan Horse Aftermath, MMTG, Hello and Life Line. Life Is Good was slick and well produced. Jimi Fischer is very professional but...and this is not his fault, we focused on composing and recording simultaneously which meant I stay too long in the world of Pro Tools. Give It Back was done differently. I relied on instinct and Andrew's ability to find the best performances by all the musicians involved. All the instruments are real - no programmed drums or synth bass. MWE3: When and how did start working with Andrew Higgins and what did Andrew bring to the table as far as the arranging and production of the Give It Back album? JM: Andrew is the reason this CD sounds as good as it does. He produces from a very old school approach. He asks a lot from all the performers well as from himself. He is an awesome bassist with an unusual intuition. He was very much an equal in all aspects of the final product. We met at a thrown together jam session backing a jazz singer at a block party in SF. I knew after a few sessions together he was the "right" guy for my new release. MWE3: There's a number of fine players on the Give It Back CD and you also call the new album a group effort. Can you say something about some of the key players who are featured on the release and do you have a core Jimmy Mac band lineup? JM: Wow, I met Dave Larue and Van Romaine before Steve Morse snatched them up. We all were working out of Marion Studios in the early 90's and have done other recordings together. Kim Stone and I recorded a great CD back in 98 and I loved recording with him. I remember warming up before a session at Prairie Sun Studios and he and I decided to do a duet of Charlie Parker's Blues For Alice - man , it sounded killer good. The guy is really the complete pro! Andrew, once again as well as Damien, Steve Rossi, John Mader and Bob Mocarsky or Casey Filson are the core sound of the band I would bring to the public. Scott Kreitzer, a personal friend and an awesome sax player was and is a big part of my musical history. MWE3: How would you compare recording live with your approach in the studio? Do you prefer live or recording in the studio with overdubs? Do you also "experiment" in the studio? JM : We go with "live" first and foremost as far as a core sound goes. Andrew and I create an arrangement and then we build from there. Andrew has a very clever way of recording and performing simultaneously. He directs and records the rhythm section and shifts tempo and feel to create a more interactive sound such as you would hear at a gig. Yeah we overdub but who doesn't? Experimentation is limited but often needed to get a better idea as to what works and why something didn't. Music is always experimental, from the moment a tune is conceived the experiment is started. 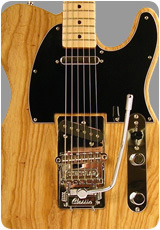 MWE3: Are you mostly featuring the Sadowsky Tele on the new CD and/or are you looking to branch out and include new guitars and will there be a Jimmy Mac custom guitar in the future? JM: The Sadowsky was the primary guitar but an old Strat and 61 reissue SG were used on the slide guitar performances. I have a 59 Tele reissue I customized with a 3rd pickup and a Stetsbar pro tremolo that I really enjoy right now. That could be a Jimmy Mac model if any manufacturer was interested. A Tele with a Whammy! MWE3: I know you're from New Jersey originally. What do you like best about living in the Bay Area compared with the N.J. / NYC area and are you planning to bring any shows to NYC in the future? JM: I just played in Jersey. A surprise gig. I was asked to sit in with a blues/rock band and we killed . But I prefer the west coast because I have a "real" community here. Damien, the harmonica dude on my CD is on tour in Africa right now and he and I, along with Andrew are pretty good friends. These are the guys along with Casey Filson or Bob Mocarsky I enjoy playing or performing with. As for drummers, Steve Rossi and John Mader are as good as it gets - its an honor to jam with these men. I can't leave out Chris Sandoval. Chris, Andrew and I jammed as a trio and I really wanted Chris on this project but logistics were too hard to manage. Chris was with The Tommy Castro Band for awhile - great drummer! No knock to Jersey or NYC - so many great musicians I've played and learned from are based in the tri-state area. At this moment no gigs for the North East are planned. I'm trying to see what venues I can play this summer or fall. Its all up in the air so to speak.